Be sure to check our Facebook page for our latest news, or sign up to our newsletter! All through July and August we are going to be running our popular summer school again. This is an intensive set of 1 hour lessons over 5 consecutive days learning a song to a backing track. On the 5th and final day we will record the track and mix it into an MP3 for you to take away. Places are limited and on a first come first served basis so if you are interested please do get in touch. We are very pleased to announce that Phill's son Marcus will be joining us as a part time teacher. Marcus will be taking lessons on Monday and Tuesday evenings, Saturday mornings and also standing in to cover any lessons that Phill can't do. 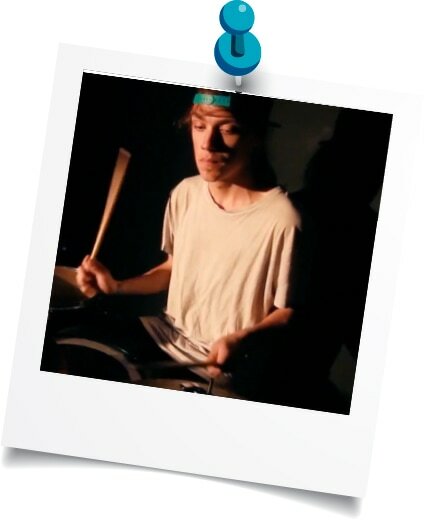 Marcus has been playing drums for over 10 years and studied drums and music production at college. He has many friends in "The Business" and is currently playing to packed venues with his punk band Fake Bandits. 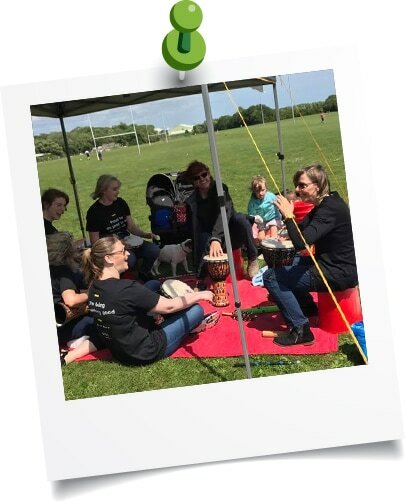 On the 4 June we were lucky enough to be asked to come along to the Family day at Eastbourne Rugby Club organised by the You Raise Me Up charity. These guys do an amazing job of offering support, both financial and emotional, to families that have lost a young adult between the ages of 16 and 25. Even though it was an un-reasonably windy day we had a great time playing with our drums, buckets and other percussion instruments! There is nothing like playing with other musicians in a "Band" type setting. Unfortunately this is not always easy to do. Here at Ravebugs we wanted to give our students the opportunity of doing just that so we have come up with the studio day. 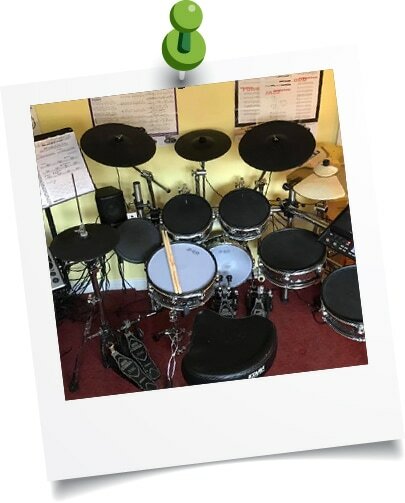 We are going to book a studio or similar rehearsal space for a day, book a Guitarist, Bass player and set up the big drum kit. Students will be given the opportunity to book an hour slot to play a song that we will learn in advance during our normal lessons. I'll even see if we can get some video of you rocking out with your band. If you are interested (I need an idea of numbers before I can book the space) please get in contact.